does not filter content on these platforms. You can create your Kanopy account either through their app or through your PC. To create your Kanopy account on a PC click here. Once on either the Kanopy app or website go to "Sign Up". You have a choice of how you want to create your account (Facebook, Google, or email). If you use your email, you will be asked to verify your account through that email accont. Once you verify your account you will be prompted to connect your account to their app (if you registered through their website). Find Culpeper County Library in the "Find Library" box and then enter your library card number. Download the Kanopy app to your device if you have not done so and sign in. 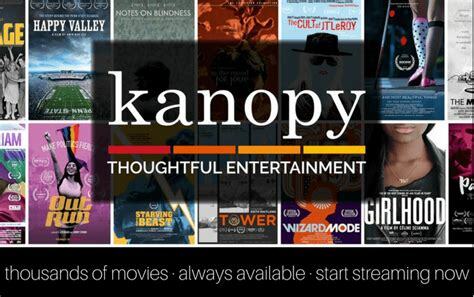 Kanopy can be used with streaming devices like ChromeCast, Amazon Fire Stick, or Roku. Click here for a full list of available devices. Download the Kanopy channel app to your streaming device through your TV. Once Kanopy is downloaded and opened on your TV, go to "Settings" and click on "Link My Account" and follow prompts. On a separate device go to the link supplied and sign into your account. Enter the given code into the box on your TV. Before downloading the app go to https://culpeperva.rbdigital.com and click on "Register" to create your account. If you already have an RBDigital account you can skip this step and go directly to your app. Fill in the fields presented creating the credentials that you will use to sign into the app with. You will also be asked to enter your library card number. Download the RBDigital app to your device and log in with the credentials you have previously created. Click on the menu bar in the upper left corner then on "Entertainment" to select a streaming channel or scroll down the page to the Entertainment section. Choose a channel then click "Check Out" and then "Access" to accept the conditions of use. You will then be redirected to the channel's website to continue the registrations process. Each channel will require you to either register (Acorn) or to create a password. It is recommended that you use the same email &/ password from your RBDigital account for ease of use. You can now either watch your channel through the channel's website or by downloading the channel's app to your device. The login credentials for each channel app will be the same as when you set that channel account up (email/password). RBDigtal streaming can be used with streaming devices like Amazon Fire Stick or Roku. Check your device to see if channel app is available. Download the channel app to your streaming device on your TV. Login to channel using the same credentials you created when you registered with the channel's website. Link the channel to your account if requested (this is easier using a second device).